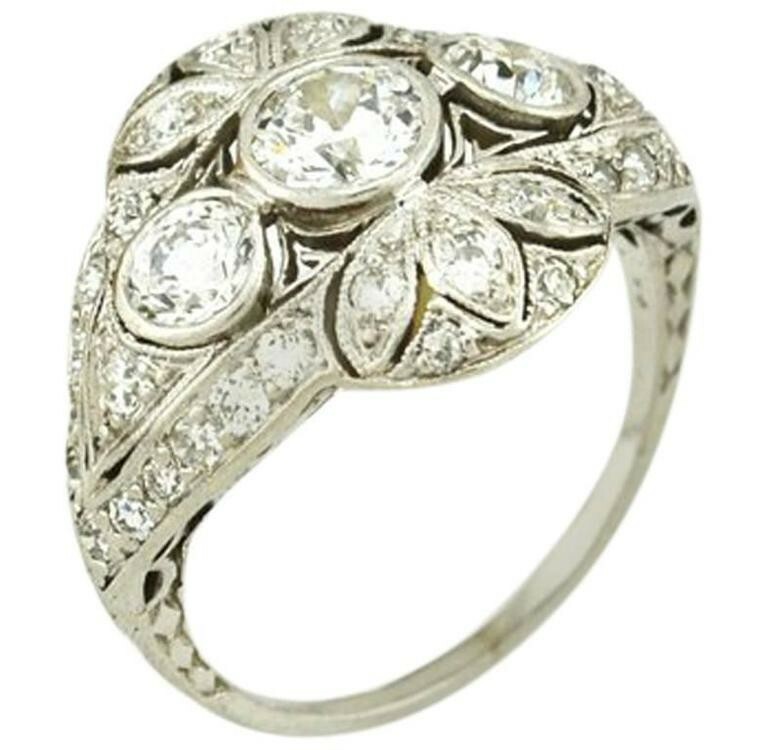 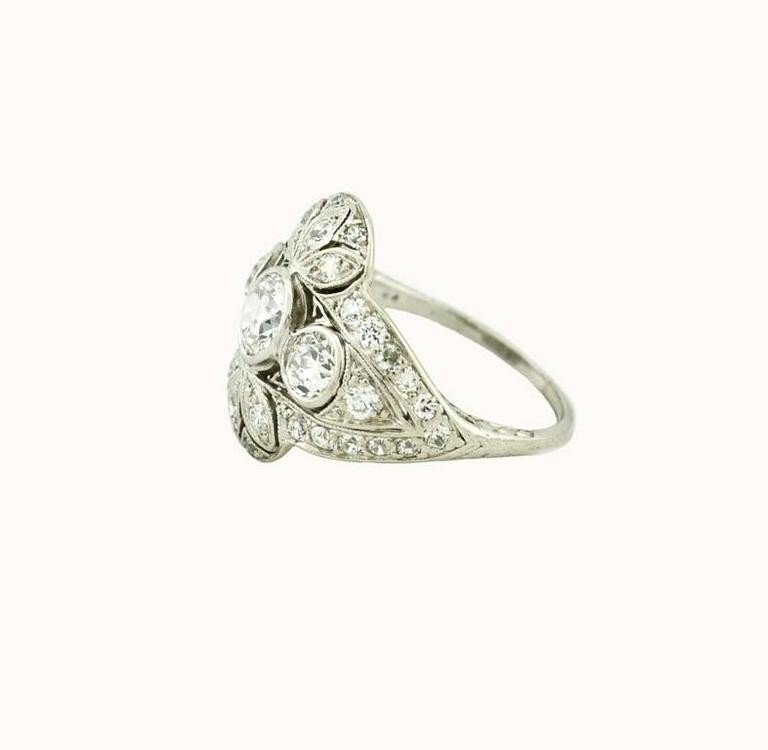 An Edwardian diamond and platinum ring from circa 1910. 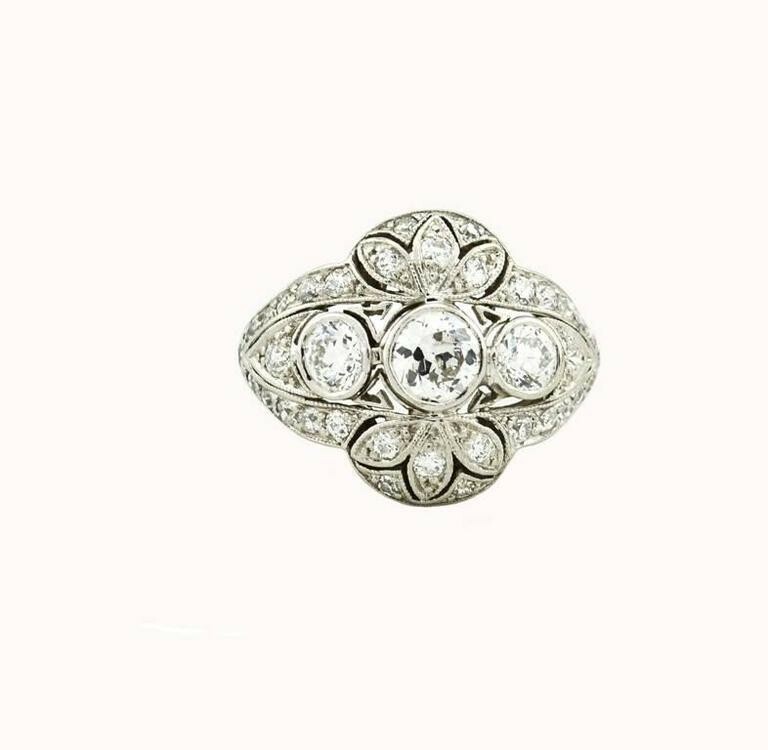 This beautiful ring features three Old European Cut diamonds; the center diamond is approximately 0.75 carats, G-H in color, and SI2 in clarity. 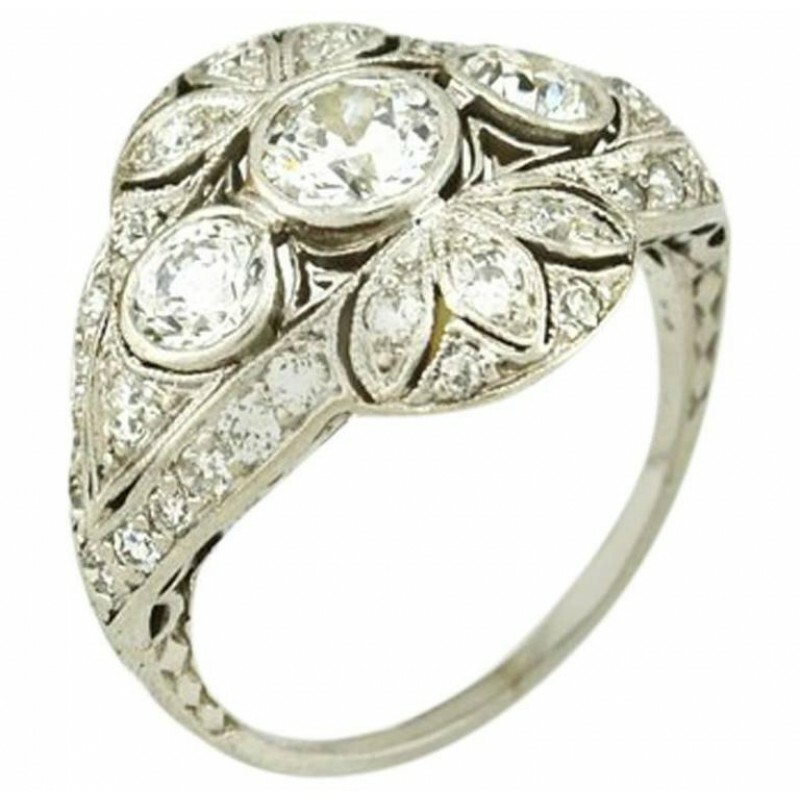 The two other diamonds are approximately 0.40 carats, G-H in color and VS in clarity. 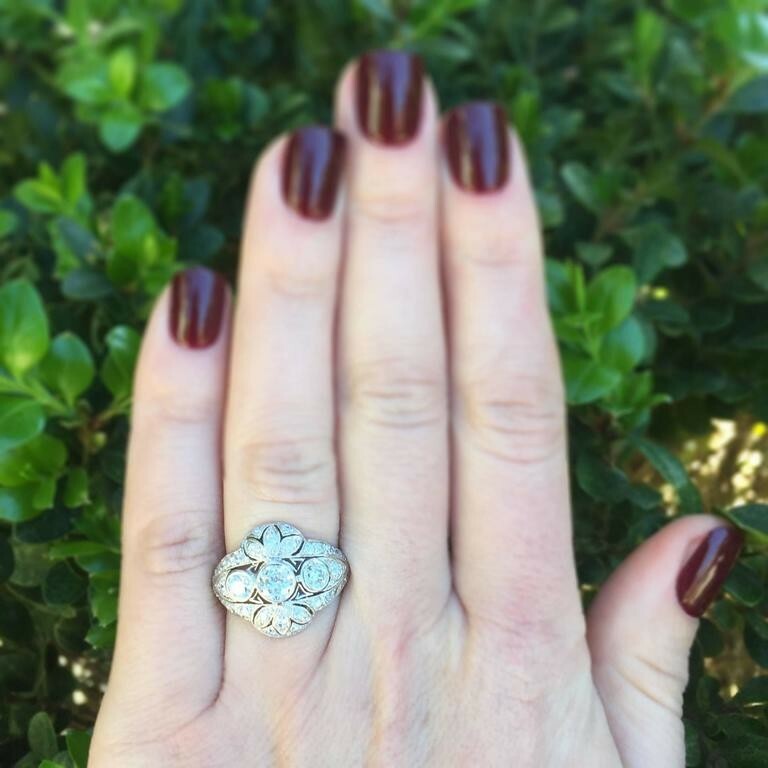 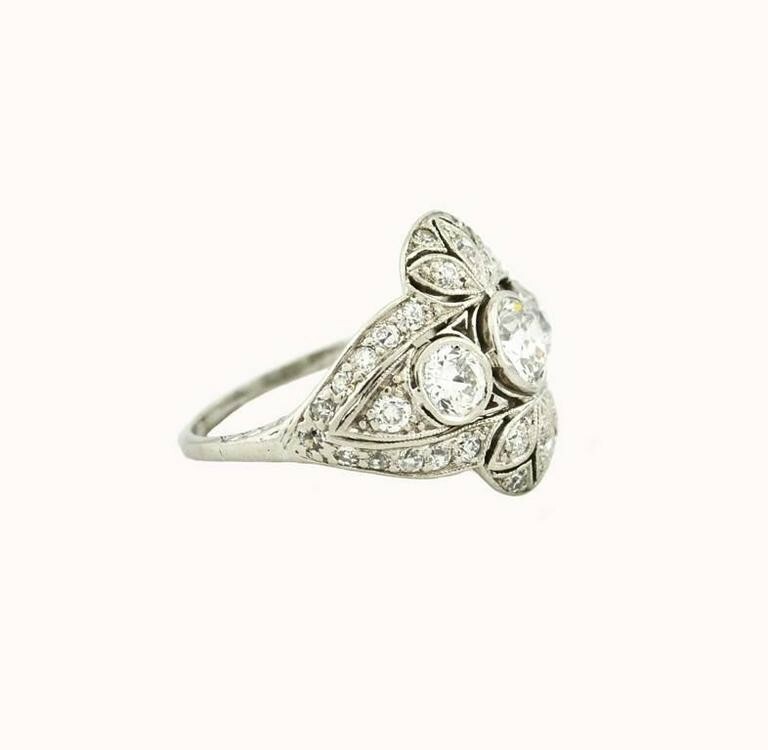 The setting features an additional 37 Old European Cut diamonds set throughout the ring in a floral motif with delicate cut outs. 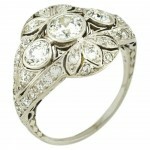 The approximate total diamond weight is 2.20 carats. 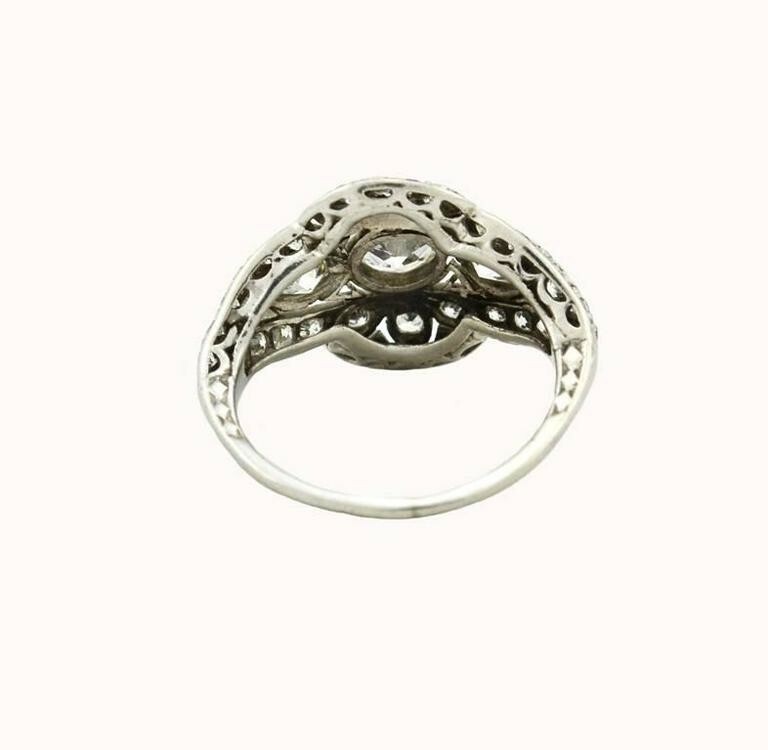 Currently a US size 6 and easily adjustable. 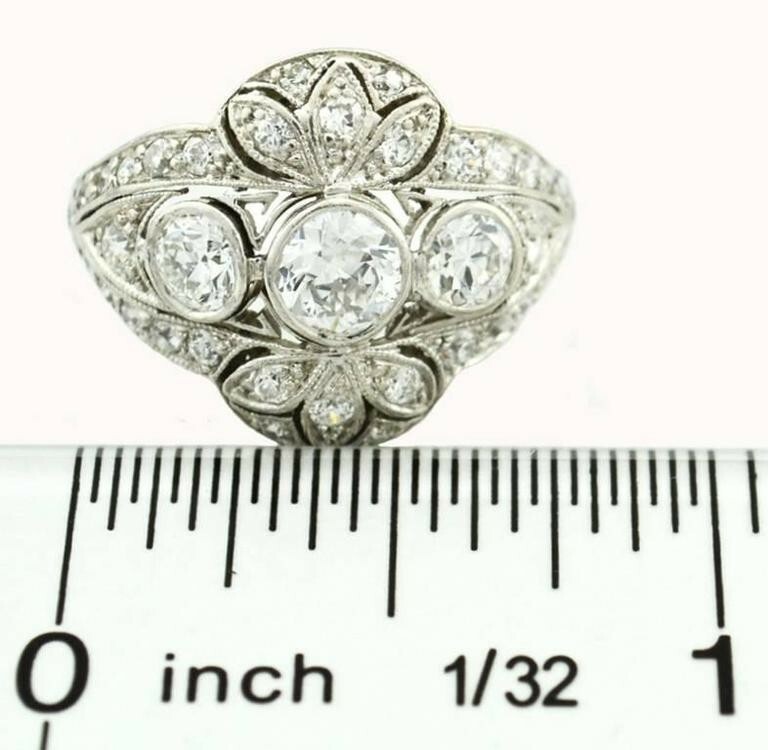 This ring measures approximately 0.64 inches in height and 0.19 inches in depth (from off the finger when worn).